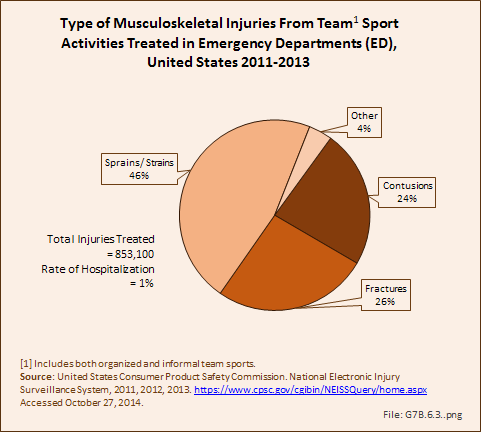 Team sports, both organized and informal, accounted for just under one-half (47%, or 853,100 injuries) of all sports-related injuries reported. 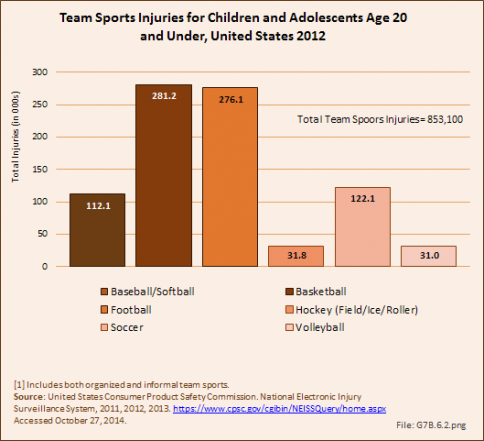 Basketball had the highest number of team sport related injuries at 33%, and was closely followed by football at 32%. 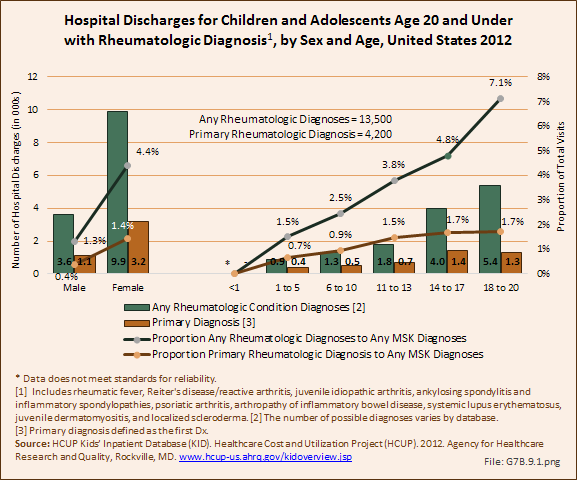 Only 1% of team sport injuries were serious enough to result in hospitalization.